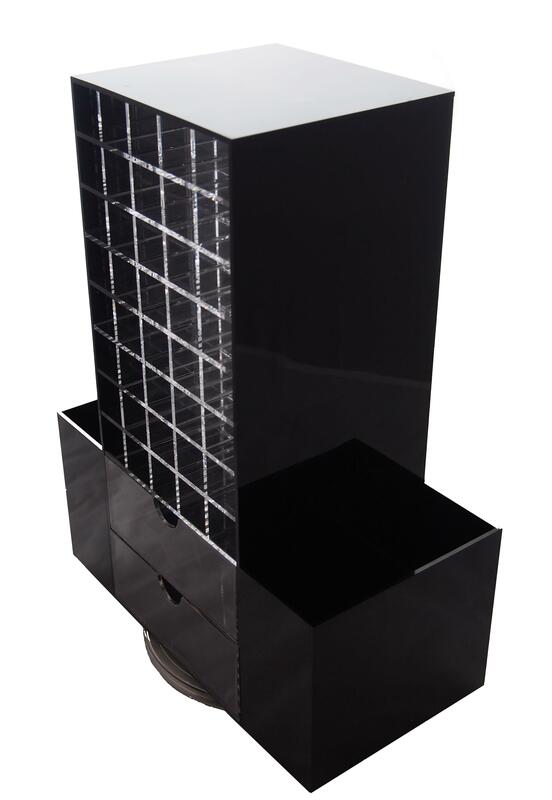 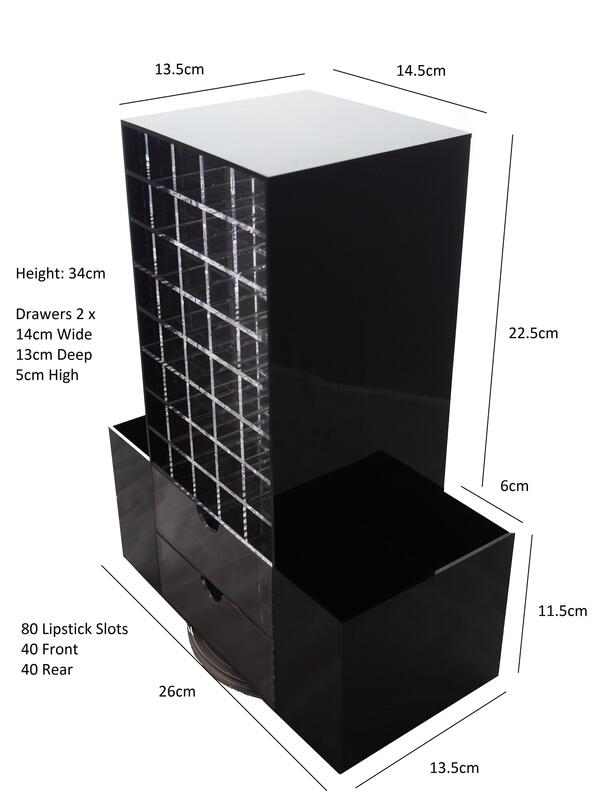 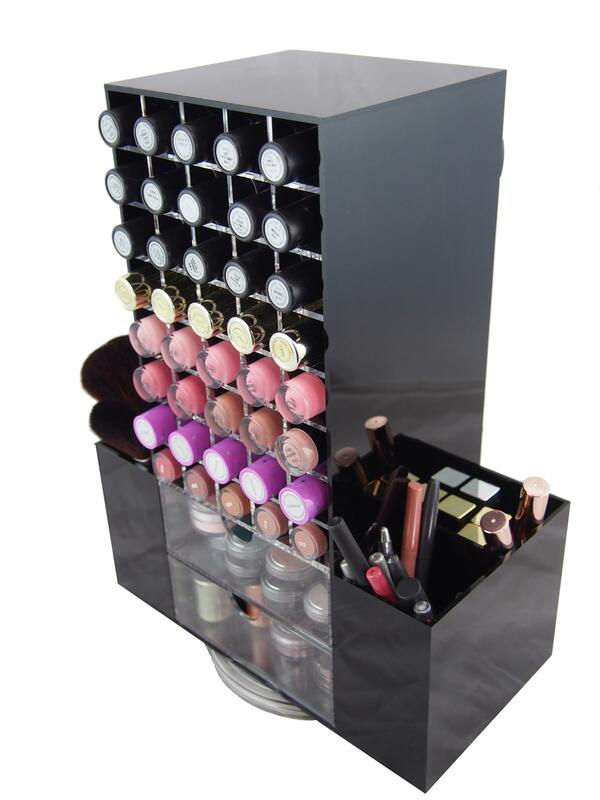 Holds up to 80 lipsticks - 40 lipsticks per side. 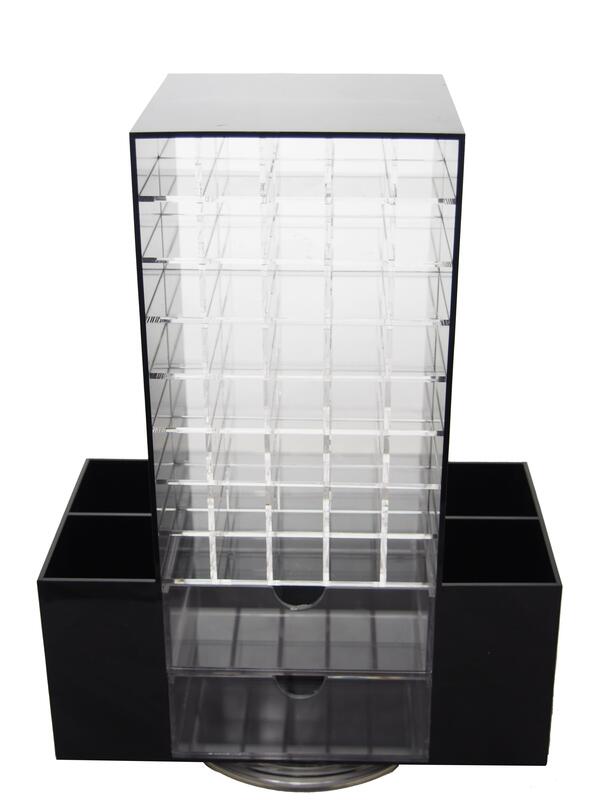 Holders come in gloss black or gloss white, both with clear acryclic centers and draws. 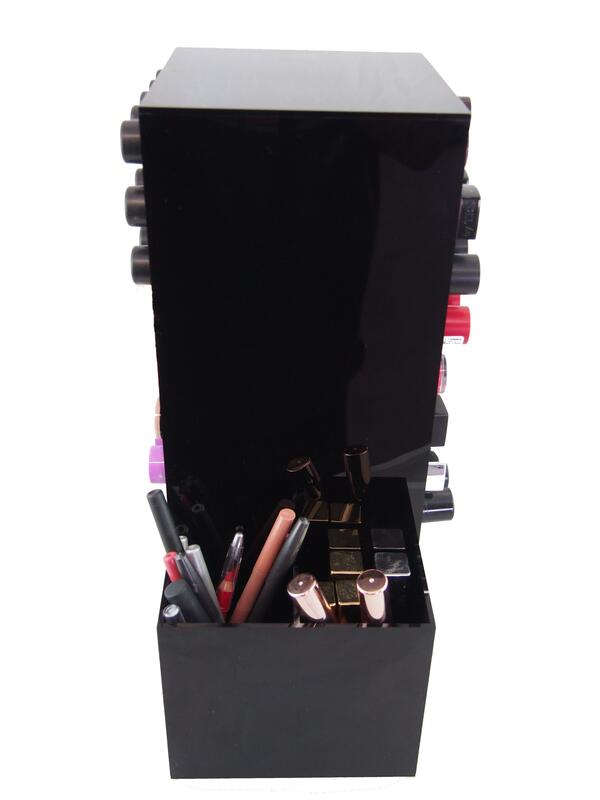 Four separated holders on the outside for lip liners, lip gloss, makeup brushes etc..